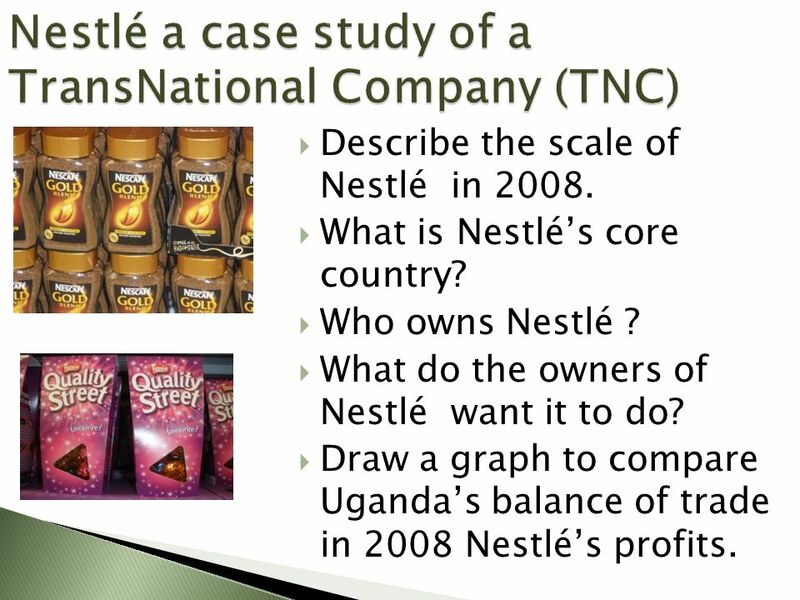 Describe the scale of Nestlé in 2008. What is Nestlé’s core country? Who owns Nestlé ? What do the owners of Nestlé want it to do? 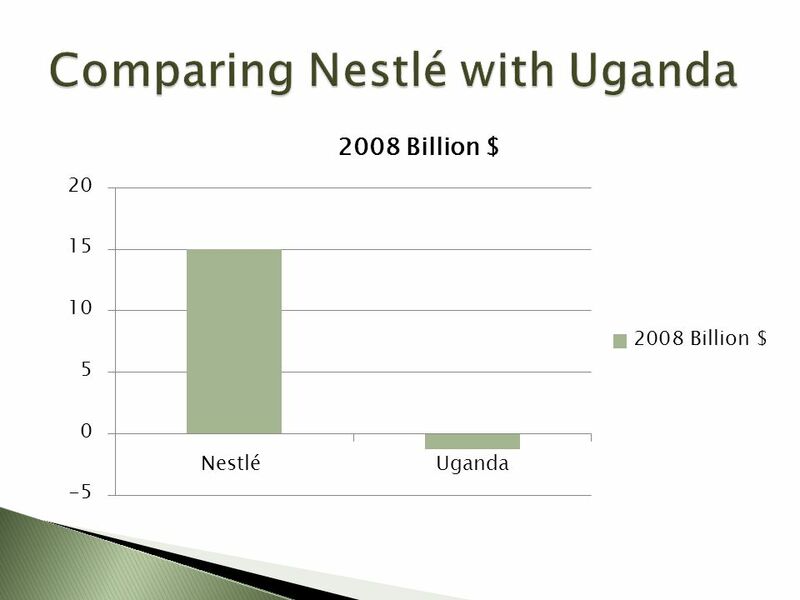 Draw a graph to compare Uganda’s balance of trade in 2008 Nestlé’s profits. 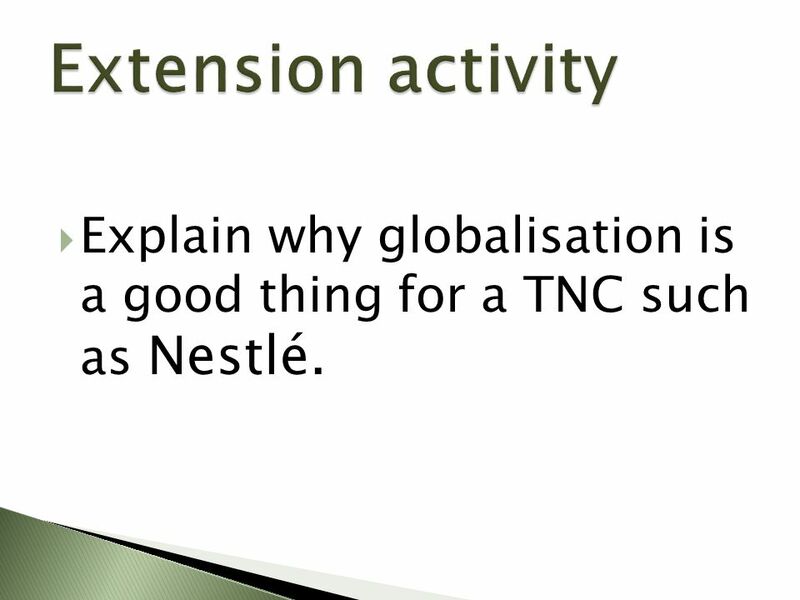 7 Extension activity Explain why globalisation is a good thing for a TNC such as Nestlé. 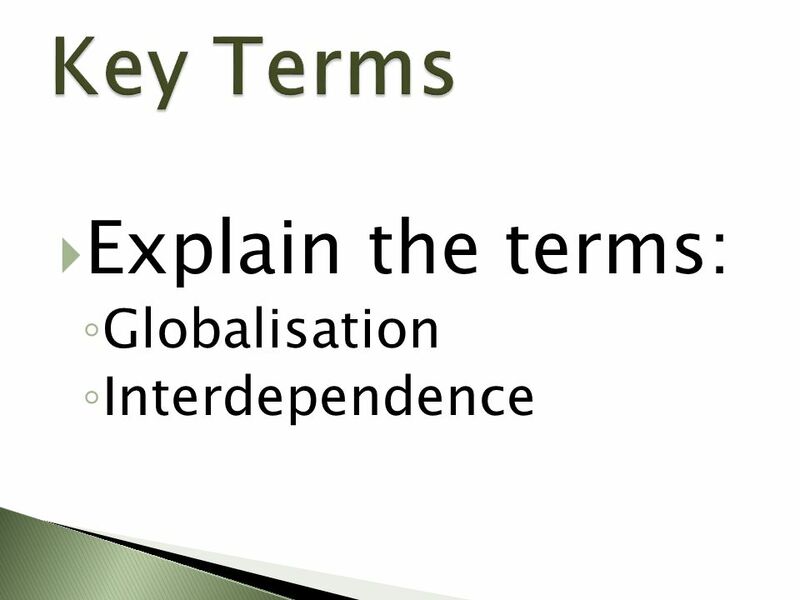 Download ppt "Globalisation and interdependence"
On your next blank page, take notes Force Notes. Net Force In many situations, including driving, more than one force is acting on an object. The combination. Fair Trade: Social Movement – improve conditions of direct producers in Third World (raw materials, agricultural goods) 1960s Europe Less that 1/100 of. 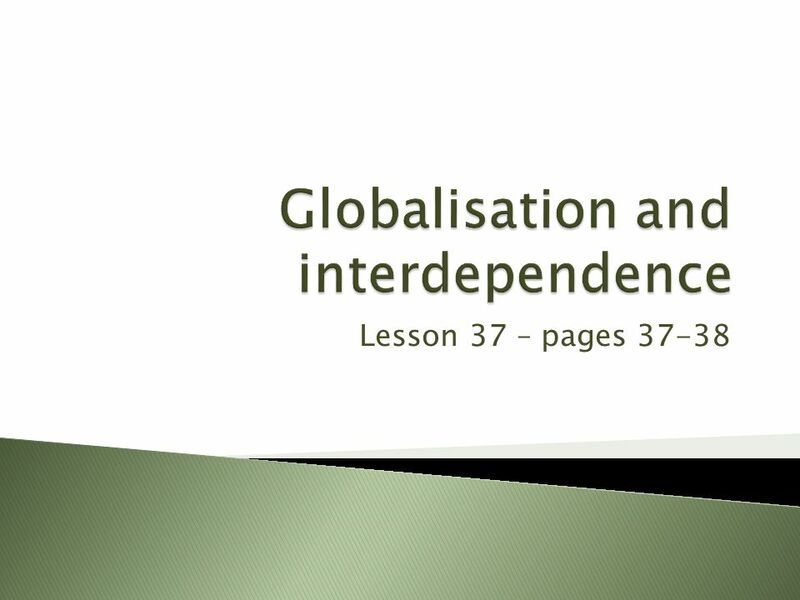 Lesson 38 & 39 – pages  To learn about trade.  To learn how international trade is controlled by countries.  To learn how the rules of international. Chapter 15 Business Financial Records 1 Chapter 15 Business Financial Records ©2008 Thomson/South-Western. Transportation and Communication Chapter 3: Lesson 3. Lesson 31 – pages  To learn what is population density.  To learn why some places have high or low population densities.  To learn cartographical. Introduction to Financial Statement Analysis Introduction to Financial Statement Analysis C H A P T E R 5. This country is Malaysia – find it in the atlas and describe its physical geography. CENTURY 21 ACCOUNTING © Thomson/South-Western LESSON 7-1 Preparing an Income Statement. 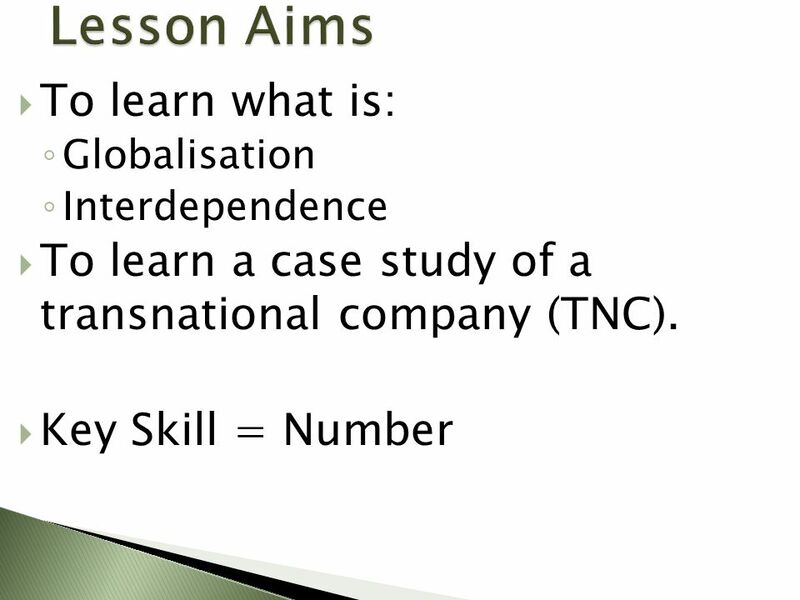 Globalization IB HL. Definitions Core and Periphery: The concept of a developed core surrounded by an undeveloped periphery. The concept can be applied. Competitiveness. It is the increasing integration of the international economy The Economist has described it as the “The Death of Distance” Globalization. Globalisation Today…. Key drivers of globalisation: 1.Transnational corporations 2.Global consumers 3.Technology and communication 4.Government. Chapter 3/Lesson 2 Trade Then And Now.